Don’t tell me. I don’t want to know. Okay. Wink your left eye for yes, your right eye for no. Really. I don’t know want to know. Don’t tell me. I think I already know, and it’s making me squint and squirm. Your kids are scared of me, right? Stop denying it over forced uncomfortable astonishment and laughter. I can see right through you. Be honest: When I invite your kids over to my house in my broken backwards Hebrew, they’re not just being shy when they hide between your legs and refuse to answer me no matter how sickly sweet I make over my voice. They are trembling with fear. Right? There is no way you can get me to go anywhere with that thing. They don’t see a kind-hearted, fun-loving lady in front of them – they see stranger danger. Massive stranger danger. Forked tongue kind of stranger danger. I might as well live in the abandoned house with the broken shutters. I might as well be the old Russian lady handing out dusty-wrapped sucking candy at the entrance to the new $1 store. I might as well be the hungover clown handing out balloons outside Foot Locker. 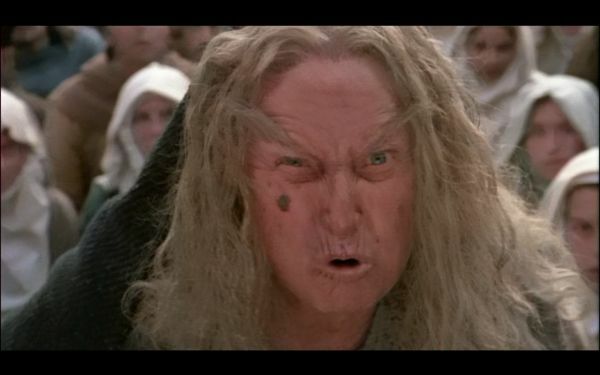 I might as well be this leperous hag from The Princess Bride. I told you I didn’t want to know. It makes me cry a little inside. And laugh a little inside. Look, I understand where they’re coming from. I don’t begrudge your kids their worry. It’s hard enough for an adult, let alone a four year old, to summon up the courage to go to a friend’s house alone, where she will be assaulted by the sounds and smells of someone else’s life. It’s hard enough for an adult, let alone a four year old, not to know immediately where the cleanest bathroom is or what kind of snacks are in the pantry. So I understand her resistance to going alone to a stranger’s house where the mommy is a gibberish-speaking freak. Where she can’t be sure if I’ll understand what she’s asking for when she wants to leave or when she wants marshmallows and wafflim…together…as a sandwich…for dinner. It doesn’t matter if her BFF actually seems to love that gibberish-speaking freak. And sometimes even wants to kiss it. (ich!) Your kid can clearly see how different I am from the other mommies. Which is why we hardly ever seem to have playdates at our house. Not necessarily a bad thing. It means our house is often quiet at 6:30 pm and we can actually attempt a reasonable dinner and bedtime routine – something I long for from the States more than grass-fed beef and Bounty paper towels. Back in the days when my kids were fed by 5 and in bed by 7, as opposed to falling asleep on the couch while my husband and I try to sneak in an episode of Mad Men. Every once in a while, however, I do come home from work to find my daughter playing princesses with a friend from preschool. Someone brave who accepted an invitation from my husband, who speaks perfect Hebrew and therefore is presumably a lot less scary. I’ll put my bags down and move to hug my daughter who is thrilled to see me. Then I’ll notice the little girl hiding behind the couch wearing a pink Sleeping Beauty gown and clip-on earrings. Don’t worry, I say with my eyes, I only eat little boys. Aw c’mon… isn’t Israel still full of people with strange accents and extremely imperfect Hebrew? Russian/South African/ savtas, imas, and olim from still stranger places? That’s the Israel I remember…. Maybe in the big cities, but up here where I am in the North I’m the foreign-est foreigner around. Hmmm… I remember bumping into marketing Anglos at Mind CTI in Yokneam Ilit, could it have been? And when I lived in Beersheva many years ago, it seems every store owner on the strip behind my apt. was from someplace else… but even then (1976-77), Beersheva was a city. 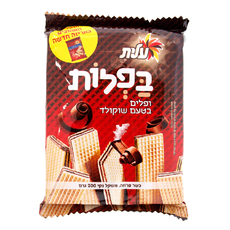 I have a NYC high school friend up in Eschar and from her I get the impression that the Galil has lots of your more secular, mellow North American olim… but they’re probably all sabas and savtas themselves by now, more vatikim than you, and fluent if still accented. This is just too funny (sorry to laugh at your misfortune!) And I can sort of sympathise – being one of the the only Americans around. Whenever I am the classroom helper, the kids just stare at me when I speak, I think it reminds them of people on TV. I actually made a little girl cry when I was in my son’s class – the teacher had me say words and the students had to write them down. She bursted into tears because she got them all wrong! I felt so bad. LOL! Do you ever try to speak with an Australian accent? I never wondered about that before — when you move to a country where the language is the same but the accent is different, do you make a conscious effort to do the accent? Not so much, I am terrible at the Aussie accent! I have incorporated many words into my daily vocal, but no accent here – not for my kids either! !